Announcing that he was ready to work with a united opposition, Shankersinh Vaghela, who once belonged to BJP, said he was neither with the Congress nor with any other party. Former Gujarat Chief Minister Shankersinh Vaghela on Wednesday urged anti-BJP parties to shed their personal interests to create a "united opposition" that could defeat the saffron party in the Lok Sabha polls. Addressing a press conference, he accused Prime Minister Narendra Modi of having failed to provide "open, transparent and system based" governance and of turning non-issues into issues. Shankersinh Vaghela also launched a scathing attack on Rashtriya Swayamsevak Sangh (RSS) chief Mohan Bhagwat, saying "for the first time after 1925 the RSS headquarters has been transferred to South Block in Delhi from Nagpur". Announcing that he was ready to work with a united opposition, Mr Vaghela, who once belonged to BJP, said he was neither with the Congress nor with any other party. "The 2019 Lok Sabha election will be between Modi and the people of India. It is the demand of time to create an united opposition. I urge all anti-BJP parties and leaders to work on this point and leave their personal interests and defeat the BJP in the general elections," Mr Vaghela said. 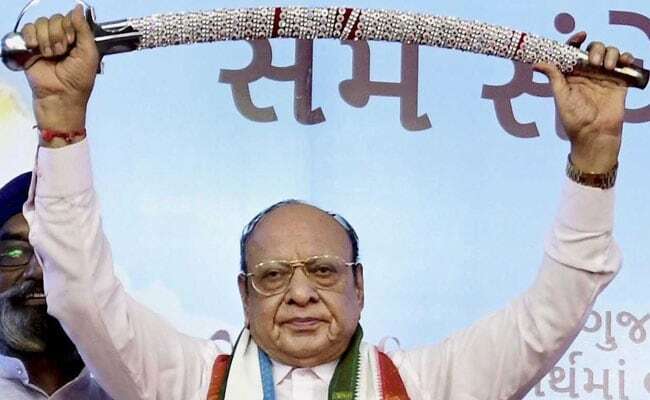 Mr Vaghela, who had a bitter parting of ways with the Congress in July 2017, said he had travelled all over the country to meet the leaders of regional parties in different states and "have got their assurance of fighting against the BJP unitedly". He said the people were fed up with the PM Modi government and were waiting for an united opposition. Taking a dig at the PM Modi government for raising "non-issues", Mr Vaghela said: "It is a matter of disappointment that issues like cow, Ganga, Dadri, Babri and love jehad are being raised in spite of the real issues like education, health, unemployment, inflation, national security and human rights to divert attention from the BJP government's failure."